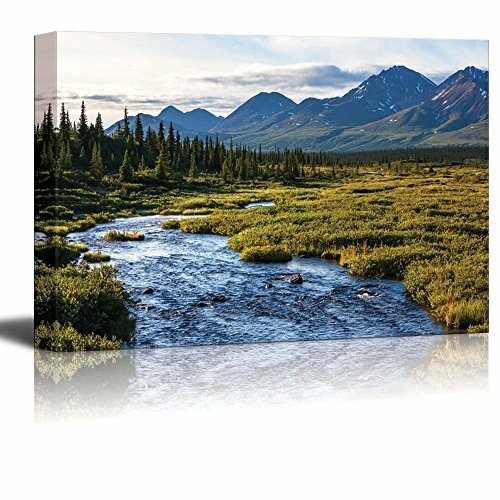 Canvas Prints Wall Art - River in Tundra on Alaska| Modern Home Deoration/Wall Decor Giclee Printing Wrapped Canvas Art Ready to Hang - 12" x 18"
Product arrived damaged. Cardboard stapled on every corner requiring needle nose pliers to remove. Center stretcher was broken on the bottom and no longer attached to the base frame. The picture itself is gorgeous. Christmas present for my son, who loves Alaska. Great picture!